Each year we buy new dresses during Hindu festive season, which is during September to November time frame. We continued the practice even after coming to this country in 2005, missing the opportunity to buy them during the tax holiday days. Today is the last day of 4-day Florida tax holiday on Books and clothes and we have no plans to buy anything today. When I tirelessly talk about saving money in almost everything, missing out on almost $50 in tax savings (on our overall purchase) is heartening. 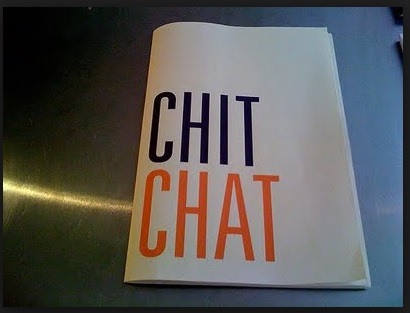 Saying that, welcome readers to the chit-chat session. As usually, I will talk about the blog and some publishable facts of my life. I admit my week-day articles do not reveal much, rather nothing about my life. They are all about my learning penned down to help others. Chit-chats articles are my only vent to tell you about who I am, what I do and what I think. On the blog front, the week started with a bang, The article I wrote in June Why Do Personal Budgets Often Fail?, got published in Lifehacker, which is a big deal on any day. Needless to say, it was the biggest traffic day for OCAAT. Earlier this month, my attempt to move the hosting to Nuts and Bolt media failed. Big fishes don’t allow small ones to prosper for long. Nuts and Bolt media hosting was under DDoS attack (denial of Service). Where a group of hackers continuously hit the servers only to prevent other requests reaching the server. Shortly after migrating my site over there, the bad things started happening. First came the malware attack, then the DDoS attack, which lasted for more than 2 days. I finally came back to Host Gator. I know this going to be short lived as I got positive feedback about couple of other hosts, they are established companies, not small fishes. One fine day, I need to make up my mind to move over from Hostgator. The slowness is irritating to me at least, I am sure many readers left the site because of slowness and errors that started coming up more frequently these days. Even after repeated tickets and phone calls with Host gator the situation remains same. I am extremely sorry, readers. I’ll take steps to rectify it as soon as possible. Also last week, thanks to Lifehacker readers, OCAAT email subscribers went above 1000. I do get occasional un-subscription notification though, but the in-flow of new readers by far out numbered the out-flow. Thank you all for showing interest in my blog. On the personal front, let’s talk about work first. I always feel something is missing in my effort, I am most likely not giving my 100%. This might be just the way I feel now. I am managing two important and big projects, one of which is expected to be delivered in mid October. Some of you might be aware that we went to Yellowstone and Grand Teton parks last month. We enjoyed a lot and brought back a lot of good memories. I still have more than 15 days of vacation to be taken this year so, we might go for another tour somewhere during Christmas holidays. We are going through a costly medical procedure which is draining money. So far, no result of that, I hope to share some news with you in coming weeks. On monetary front blog income reduced a bit, I think this is seasonal. During summer months things go slow every year. I always talk about importance of reviewing credit report all the time. I got my first benefit out of this last week. Experian report had a wrong address entry under my name. I opened a dispute and successfully removed that address record from file. I think this wasn’t just a case of wrong data entry, It might have been the first attempt at ID take over. Fraudsters first initiate the process by inserting some records like address, phone or car information. Let’s say I am going to take over your id. So, I first obtain your SSN, then I mock a housing association and send a false record to Credit bureaus that you have applied for rental accommodation with us. Thus, the new address information comes in to your file. Then, I will represent a car dealer and send a new car record under your SSN. Now, I created a car information under your name as well. Within few months I will have some other info added to your report. Going forward I can claim your SSN as mine and answer security questions as I know a lot of things, I added them myself! Also, adding a wrong address under your SSN makes it easier to ship the merchandise to that address. This will not raise automated credit card fraud alerts. You will be billed for unknown items, if you don’t pay attention to you monthly bills, you will end up paying for the items you never ordered and never would use. So, check your credit report today and do so every year, it’s free once a year. That’s it for today’s chit-chat. I’ll bring some more news over the coming weekends. Thanks for reading and thanks for sticking with OCAAT. Good point about the credit report. It’s really important to keep on top of basic information as well as credit inquiries. Yes, I encourage and urge everyone to check credit report for accuracy every year at least once. Medical procedure? Hope you are doing ok. At least you have insurance right? Congratulation with Life Hacker. Nice job! Well, let’s hope that we are going to hear more about all that stuff in the future, plenty of questions to ask but so little commenting space 🙂 Noticed the DDoS attack as well, was wondering what was going on.